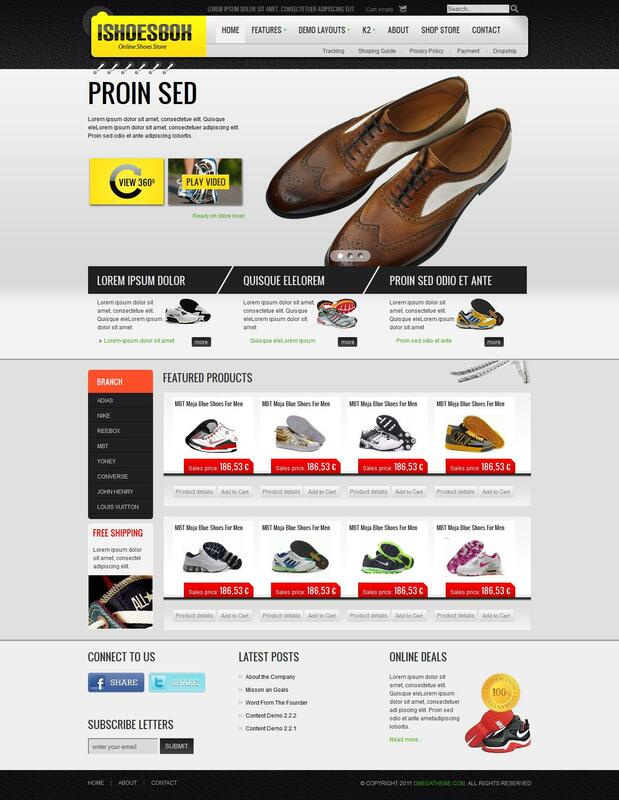 OT iShoesBox - is the ideal solution from the development team OmegaTheme, which is ideal for online store. This template introduces support component Online Store VirtueMart 2.0 and powerful content management site manager - component K2. The modular design of the layout consists of 20 positions for modules and design template contains three predefined color schemes. There is support for display on mobile devices and the availability of optimized code for search engines.